Emmanuel Ifeachor is a professor of intelligent electronics systems at Plymouth University, UK. He studied communication engineering at Plymouth University and at Imperial College, London, where he developed a keen interest in signal processing. He went on to study for a PhD in medical electronics at Plymouth where he worked as a research assistant, specialising in biomedical signal processing. He took up lectureship in electronics at Plymouth in 1985 and became a professor in 1996. Research Interests and Expertise: His primary research interests and expertise are in intelligent signal processing/data analysis and computational intelligence techniques and their applications to real-world problems in healthcare, real-time multimedia communication and audio. He has published extensively in these areas, including co-authoring over 200 research papers and 15 books/book chapters, including a major text book, Digital Signal Processing – A Practical Approach, Guide to Voice and Video over IP: For Fixed and Mobile Networks, and Artificial Neural Networks for Biomedicine. Professor Ifeachor is co-editor in chief of the Source Code for Biology and Medicine. He was the project co-ordinator for BIOPATTERN,a €6.4 million, 30-partner, EU FP6 network of excellence, project (2004-2008);a theme leader in a £2m, NHS NIHR-fundedproject in clinical trials methodology for neurodegenerative diseases, and the principal investigator in a recent EPSRC-funded project on novel point-of-care, diagnostic technologies for dementia. He is a co-investigator in two EU MarieCurie projects on quality of experience for multimedia communication, QoE-NET(2015-2019), and bio-sensing and diagnostic technologies for Alzheimer’s disease, BBDIAG (2017-2020). Awards and Other Highlights: Professor Ifeachor has received several external awards for his work, including two awards from the IET in 1997 and in 1998. His chair was sponsored by a telecom company, WWG/Acterna. 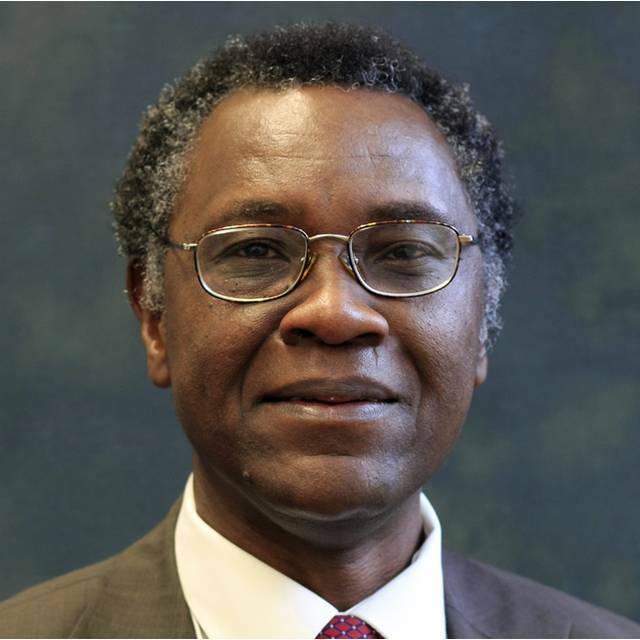 Professor Ifeachor has also served as Head ofSchool at Plymouth and Chair of the IET Professional Network on HealthcareTechnologies. He created two international conference series, NNESMED/CIMED (Neural Networks and Expert Systems in Medicine and Healthcare/Computational Intelligence in Medicine and Healthcare)and MEDSIP (Medical Signal & Information Processing), which ran for over 10years. Professor Ifeachor, a Senior Fellow of the Higher Education Academy, has taught and examined at undergraduate and postgraduate levels for over 30 years. He has served as an external examiner for an MSc course and for 13 PhD projects. He has successfully supervised over 20 PhD projects to completion. The main research interests are in intelligent signal processing, intelligent data analysis and computational intelligence techniques and their applications to key real-world problems in the areas of multimedia communications (e.g. quality of experience prediction and control for voice and video over IP networks), audio (e.g. intelligent sound synthesis, audio quality assessment, AI in live music mixing) and biomedicine (e.g. intelligent biomedical signal processing and data analysis to extract novel biomarkers and for decision support). Professor Ifeachor has a special interest in the transfer of research outcomes to industry. Video content and context-aware QoE prediction for HEVC video over IP networks, PhD, 2015. Computational study of the mechanisms underlying oscillation in neuronal locomotor circuits , PhD, 2014. Video quality prediction for video over wireless access networks (UMTS and WLAN), PhD, 2011. A framework for bioprofile analysis over Grid, PhD, 2008. Enhancement of perceived quality of service for voice over internet protocols systems, PhD, 2008. Resource-efficient strategies for mobile ad-hoc networking, PhD, 2007. Artificial intelligence based modelling of musical instruments and sound design, PhD, 2005. Early detection of dementia using the human electroencephalogram, PhD 2005. Speech quality prediction for voice over internet protocol networks, PhD, 2004. Closed loop control of total intravenous anaesthesia, PhD, 2003. Evaluation of intelligent medical systems, PhD, 2002. Intelligent techniques for reducing uncertainty in retrospective CTG analysis, MPhil, 2002. Natural algorithms in digital filter design, PhD, 2001. Investigation into digital audio equaliser systems and the effects of arithmetic and transform error on performance, PhD, 2001. Automated interpretation of the background EEG using fuzzy logic, PhD, 1998. Intelligent pattern analysis of foetal electrocardiogram, PhD, 1997. Intelligent techniques for handling uncertainty in the assessment of neonatal outcome, PhD, 1997. Intelligent fetal monitoring and decision support in the management of labour, PhD, 1993. An adaptive high rate data channel for a compact cassette digital audio system, PhD, 1992. Knowledge based digital signal processing of human EEG, PhD, 1991. H2020-MSCA-ITN-2014, Innovative Quality Of Experience Management in Emerging Multimedia Services, QoE-NET. EU Initial Training Network, €3.1 m (Jan 2015- Jan 2019); Co-investigator. Breath-based Non-invasive Diagnosis of Alzheimer’s Disease: A Pilot Study. BRACE charity, £52, 120 (July 2017-June 2018); Co-investigator. Clinical Trials Methods in Neurodegenerative Diseases. National Institute of Health Research, £2m, (2009-2014); Co-investigator and Theme Leader, Surrogate Outcome Measures. LiveWell - Promoting Healthy Living and Well-being for Parkinson Patients through ICT Training, EU Lifelong Learning Programme, €291, 191 (2012 – 2014); Work Package leader. Hopkins P, Outram N, Lofgren N, Ifeachor EC & Rosen KG 2006 A comparative study of fetal heart rate variability analysis techniques.